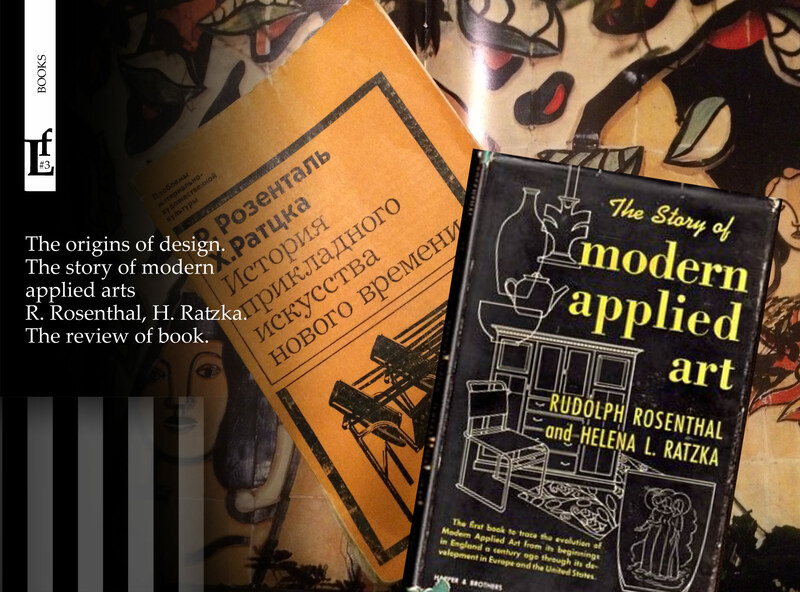 This is one of those books that will our guide in the journey to the origins of design. The authors of the history of modern applied arts lead their story from the industrial boom in the UK, then the emergence of Art Nouveau in France, Jugendstil in Germany and Austria and then to the development of functionalism in the world. The manufacturing replaced the craft, and flooded the market with ugly and tasteless things. The industrial design was needed. The advanced theorists of art and artists started their fight for the formation of style. At that time there was such a picture, the artists in the centuries-old prejudice kept away themselves from the craft and were engaged only in «pure art». The industrialists did not want to lose time and money to develop things. The style ceased to exist , the taste wasn’t formed. Manufacturers focused on the requirements of a consumer, who also had not aesthetic principles. The preposterous embellishment reigned everywhere. According to one of contemporaries of that time: «By what the world was admired recently, now it got a ugly mask». Dominant monstrosity paved the way for a new style inevitably, stop desire to imitate or, in the words of artists – «to despoil the corpses». It was time for change, but not just ideas, programs and manifestos of the new movements were seen. Some philosophers, theorists of art, artists were the first in this area and their work inspired further generations. But majority of them so hadn’t known the recognition in their society. But gradually their ideas developed by their followers. England, Belgium, France, Austria, Germany, Italy and more and more, it’s like a journey into the past of each country to trace the development of the design, the influence of lifestyle, national peculiarities and mutual international influence. A large Chapter is devoted to the USA, completely omitted the story of the development and establishment of design in Russia. But it could be explained by the complicated post-war atmosphere of the time. Notwithstanding architecture, art and design of 1920 s in Russia is an extremely interesting topic. The ideas of freedom and innovations in traditional views led to bold decisions. Experiments and search of own style left us the art legacy that would again inspire the generations. But this topic deserves a whole article. The authors of the book are their narrative quite clearly without lyrical digressions, but this does not prevent to immerse the atmosphere in the formation of the styles of the first half of the twentieth century. The book was written in 1948, that is, almost immediately after the Second World war, when economies of many countries were undermined and the authors could only guess what would be art and design in future. Many artists were alive and the authors of this book had given an estimate their contemporaries. Now, we have more information than they knew and we can assess their work through the prism of time. And the more interesting it is to read and understand those mood and those perceptions of reality.